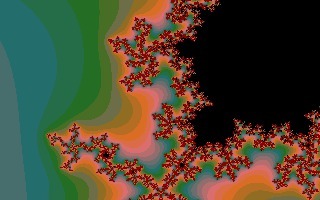 ST Format cover disk #42 features The Fractal Engine by Daniel Grace and Mike Harris. 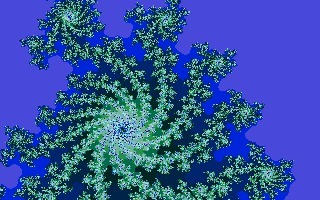 After a couple of hours tinkering, I began to create some rather nice images with tripped-out colourful effects. Oh no, does this mean I'm turning into a groovy hippie? Anyhow, I hope you like my creations which were all calculated using my own Atari STe - except for one where I used XaoS on my Apple Mac. Hmm, but can you guess which one? 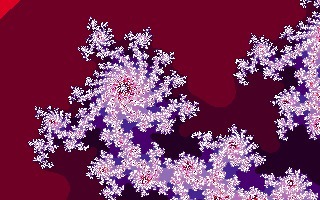 Update: thanks to Michael Keenleyside for this link to the latest version of The Fractal Engine! 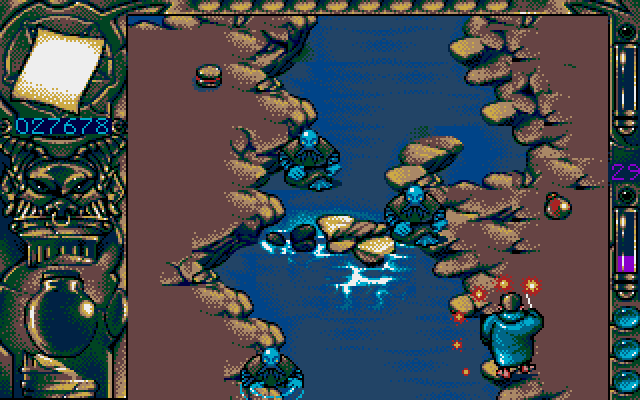 Only this morning did ST Survivor ask me for a video recording of Quartet, a new game based on the original, by Photonstorm. The task is to place pieces of four faces, into four slots, in four separate areas with bonuses awarded for a whole face. Watch my video recording and you will see that it's simpler than it reads - and very addictive! 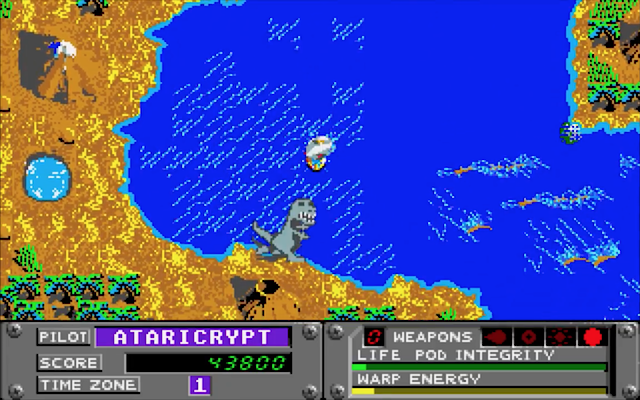 I love finding YouTube channels that feature great Atari ST games and The New Retro Show is one such place to get your fix. 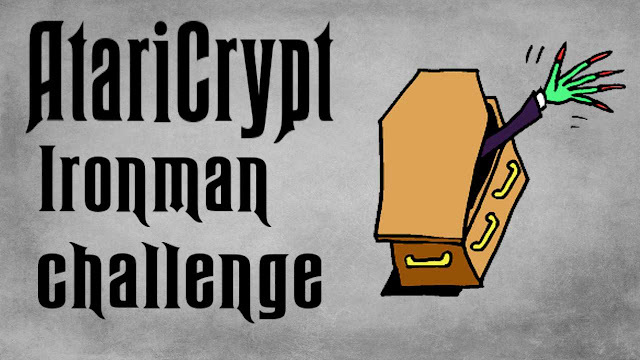 Mike has been addicted since he first got to play Dungeon Master and currently owns two machines, a Mega and a 1040 ST. Now, after was watching this video I came up with the idea for a challenge and suggested a few games which have all appeared on AtariCrypt: Chubby Gristle, Cybernoid, Zynaps, and other tough nuts! The ST world constantly amazes me. Just when you think you've seen it all Street Fighter pops up and slaps you in the face!! 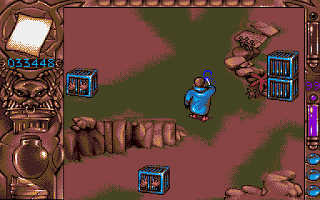 Yep, I've never seen this before and no, I don't mean those terrible commercial games because this was developed for the Atari STe by none other than Patrice Mandin, a guy whom I'm grateful to for his Doom engine. 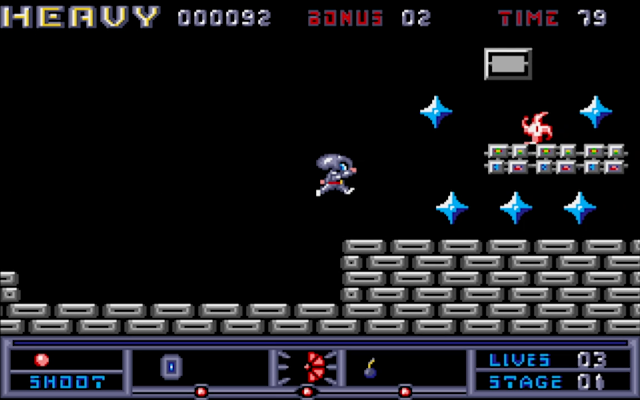 It features two-player support as Chun-Li and its engine makes use of the hardware scrolling, Blitter chip, and DMA for stereo sound effects. As you can see, it's playable but unfinished and will probably remain so, sadly. 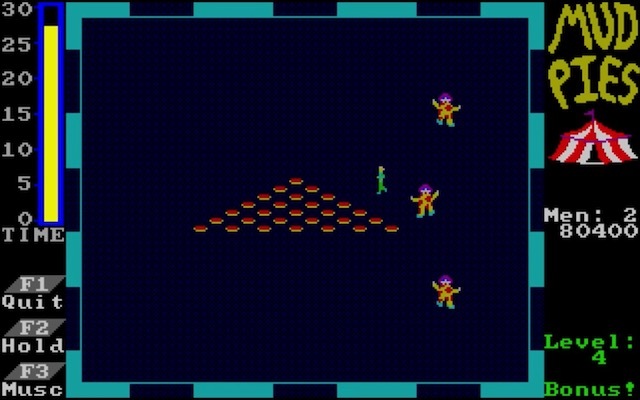 However, great progress has already been achieved and it sure makes you realise just what the Atari STe is capable of... but now I hate most commercial gaming companies even more for ignoring this amazing computer! Even unfinished, it technically hammers the original conversions but that wasn't hard, right? I am shocked just how playable it is with smooth action and responsive controls, using both the joystick and keyboard. The source code is available and I'm shocked our community hasn't picked this up in over 20 years. The potential here is huge!! I have just listened to this amazing tune called Wowy, by Tomchi (played using JAM) and simply had to record it. Being the Grand Wizard's novice magician, we are eager to learn the ropes but quick to make silly mistakes, like losing his precious scrolls and phials! Now we must travel parallel worlds and retrieve as many as possible, so have your trusty magic wand at the ready because this is going to be a unique adventure you're unlikely to forget battling against all sorts of whacky characters: Buzzards, Sheppards, faithless Monks, reptiles, sea creatures, farmers, little girls, Vikings, walking trees, funny faces, and so much more. Most throw something whilst all will chase you! I must say that the palettes used are pastel perfect with lovely artistic tones. 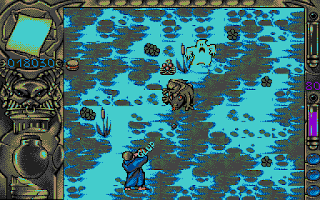 The big man has granted permission to use his magic with the ability to cast the spells that provide a variety of unique ways to dispose of our foe. 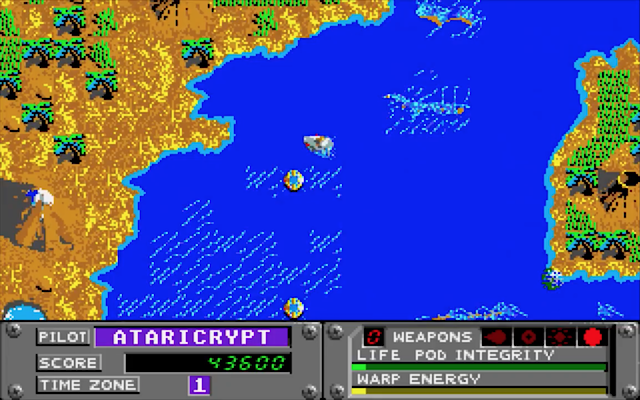 The ring of fire scorches anyone who dares to get too close whereas the blue ring deflects enemy fire. Another will open up the ground and swallow our victims and cages will trap those nearby. Possibly the best of all is shouting "Boo" to shoo off anyone nasty! Each spell activates straight away but, if you are quick, slap that Spacebar to stockpile it for later and use in combination with the Return key, quite a cumbersome design but it works. The level ends when you reach the pentagram and must do battle with an end-of-level boss, the first throws little babies at you! 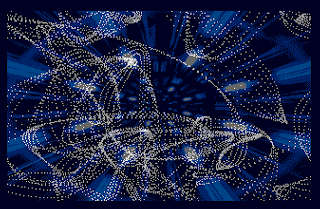 Once defeated, the Wizard's sphere appears and whisks you off to the next level. Collect the funky power-ups and use all magic spells to the best of your ability! Hey, what's that? I've got a doppelganger to help me out so let's cage the beasts! As much as it may try to hide behind its storyline, this is a generic shoot 'em up albeit with lots of cool power-ups and humour. It's obvious a lot of time and effort has gone into Mystical's production because it oozes so much fun and artistic quality. 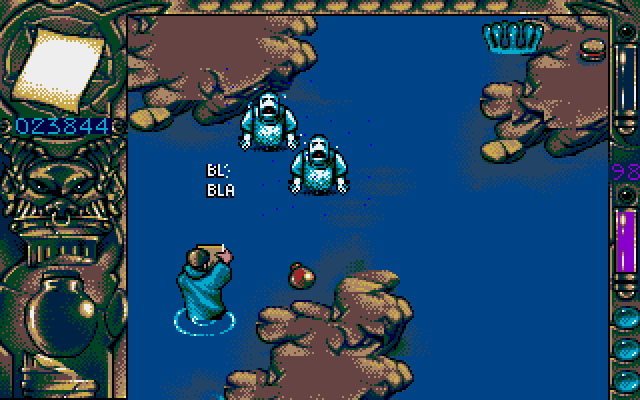 Sadly, it can be a little repetitive and it also has end-of-level bosses which are so frustrating, to say the least!! However, I have really enjoyed playing and I'm sure most gamers will enjoy its unique personality. Pick up your magic wand and help out our poor magician using either a floppy or your hard disk. Hard 'n' Heavy follows on from Giana Sisters in true sequel fashion to offer more Mario-esque levels to run and jump through. However, the official release was poor with awful flip-screen scrolling that ultimately ruined what might have been a great conversion. 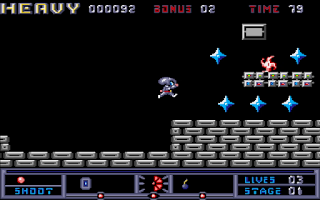 Sure, flip might work well with come platformers, for example, Jet Set Willy, as this particular game would have been horrendous with scrolling. But Hard 'n' Heavy requires scrolling!! Thankfully, that's where the bad lesson ends and good news begins because Peter Putnik has developed a version which features smooth as silk scrolling thanks to the use of the Blitter co-processor lurking inside every Atari STe. And also most other earlier models (incl later STFM models which had a Blitter or at least a hungry socket). Looks pretty bland but those blocks now slide across your screen like silk. Very nice. Gotta love that flamethrower but is pretty darn cool but watch out for that shark!! 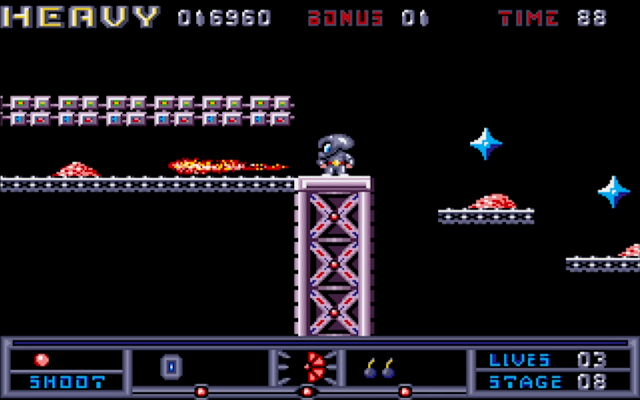 Hard 'n' Heavy obviously looks and feels similar to Giana Sisters, so if you didn't like that then you may as well look elsewhere right now. The physics exaggerate that Giana experience to feel more like we're floating and this took me a few goes to master. It's pretty weird! 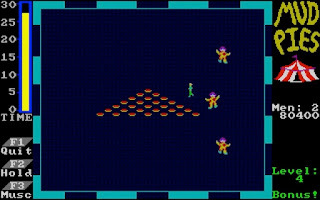 Okay, there are 25 levels of shooting the baddies and destroying blocks to search for those bonuses and even access to hidden levels. Also available is a two-player feature, with various game types, but I cannot comment more because I've no friends [boohoo]. Wow, this is superb and I'm sure any Giana Sisters fan will love what is basically more of the same with a few extra bells and whistles. Peter has done well to transform that pathetic commercial conversion into something it should have been all along. Just make sure you play it on a real computer to experience the silky-smooth movement. Overall, I do prefer Giana Sisters, but this is really enjoyable and highly recommended. 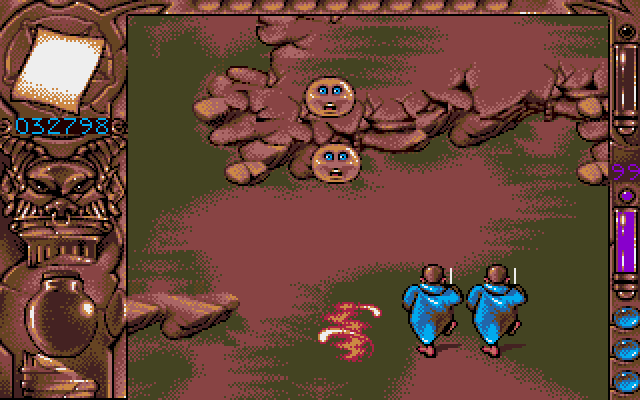 Electronic Images released one of the most hilarious Atari ST demos I have ever seen. 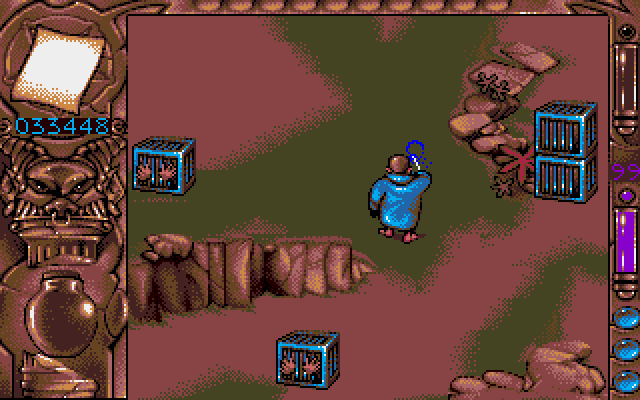 I did try and record a video but my emulator missed some graphics and also the sine scroller (which is beautiful) was jerking like it had a nervous twitch. So I burned the image to a floppy disk and it was perfect - because nothing beats the real hardware!! 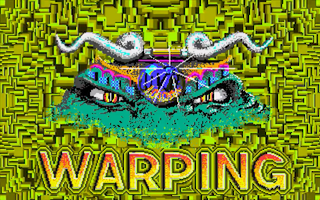 Download this utterly stupid demo from AtariMania then turn up the volume and enjoy the show. 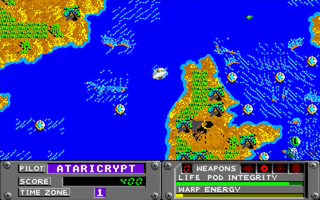 Menace is a great shoot 'em up and one of the few Psygnosis games I like but what's up with that YELLOW ship? I've always hated it so began to wonder if it was possible to change it white... I contacted Atari ST wizard Peter Putnik and he later came back with a solution. As you can see, our spaceship has a brand new paint job! The caveat is the effect on the status panel, due to their use of the 16-colour palette... but try not to lose too much sleep over that! Of course, the game itself remains exactly the same - but with a white ship. I must thank Peter for being gracious to take on this request and his version of Menace is the only one I will play. There are so many amazing artists out there and I've always had a soft spot for the guys that make up the incredible YM Rockerz. So here is the wonderful compilation called "wave upon wave" which they released 17 years ago and features several tracks by their awesome musicians: 505, D-Force, Dma-Sc, Tao, Lotek Style and Milhouse. I've just been going through the latest uploads on Demozoo and there have been many incredible releases of demos, artwork and music from both the Outline and Sommarhack parties. 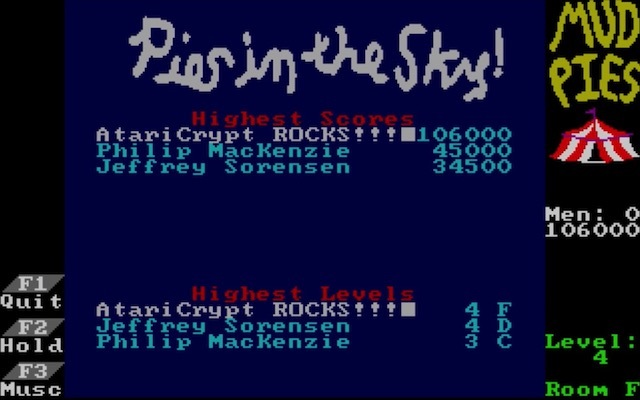 I'm constantly blown away by what the DHS boys can produce: the video above is of Midnight Sun for the Atari STe which runs in complete overscan. WOW!! 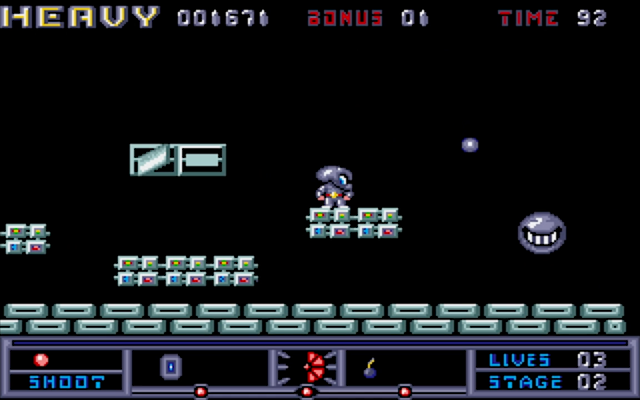 P-47 was released in 1988 by Firebird and is based on the popular Jaleco arcade game. 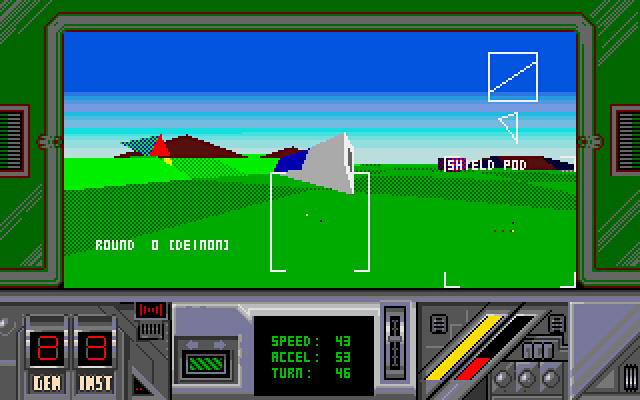 There are several levels through a wide variety of landscapes so put on your Biggles outfit because you're about to reach for the skies. Any great shoot 'em up needs decent scrolling, awesome controls and lots of enemies to kill which P-47 has by the bucket load. It's immediately obvious the teamwork that went into development has certainly paid off with a quality product: choose either a 50/60Hz display with smooth parallax scrolling, great graphics throughout and fast sprites that honour the original. 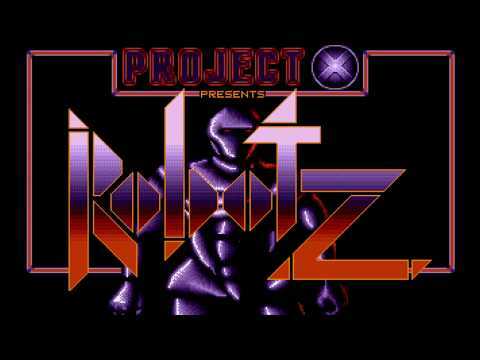 Funky chipmusic plays alongside the pizazz sound effects, both of which are great. The action is hectic as the planes whizz onto the screen with tanks blasting their artillery - they're just asking for a MOAB!! Other levels have us flying through sunset clouds, pyramids, and over the seas - I love the missiles which emerge from underwater. Strangely, the bosses are often easy to defeat by simply positioning yourself in a safe place and repeatedly dropping a payload of bombs. 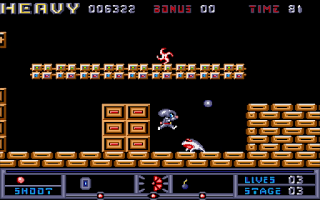 Each level varies but the concept always remains the same: fly, avoid, panic, and kill everything you can. Yes, this game is one incredibly fun arcade blast 'em up!! Where P-47 fails is the frustratingly high difficulty because your screen will always be cluttered with many baddies and a collision is inevitable. Stick with it; collect the power-ups, learn the enemy's attack pattern and keep on firing - practice makes perfect!! Sure, this is imperfect but it's also one I really enjoy and a darn fine shoot 'em up. - Stonish has the game on floppy disk and I recommend New Order #20 Menu CD. - Hard drive installable versions are available by both 8BitChip and D-Bug. 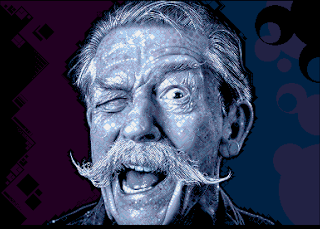 - Enter "ZEBEDEE" into the high score. Press F1 for a level skip and press F2 for infinite lives. Have fun!! 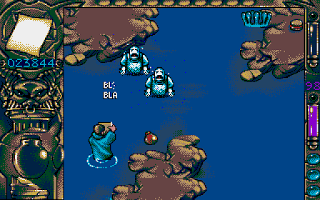 So I contacted Laurent to thank him for Bold and another game which I've just nabbed off his website - a Dungeon Master clone called Wiliness 3. I've only just started to playtest this but boy is it a cracker. Laurent is a really nice guy who I enjoyed talking with and I urgently suggest you play Bold and Wiliness 3 today!! 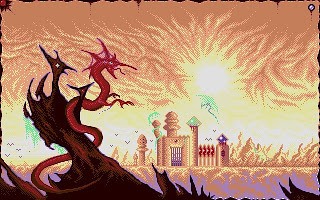 Take a look at the Atari ST section of his current website along with his superb YouTube video. 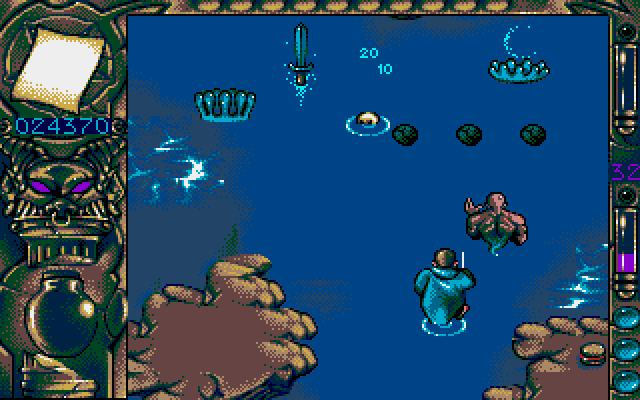 Bold is a fantastic, albeit unfinished, shoot 'em up for the Atari ST/e which is influenced by a number of games. 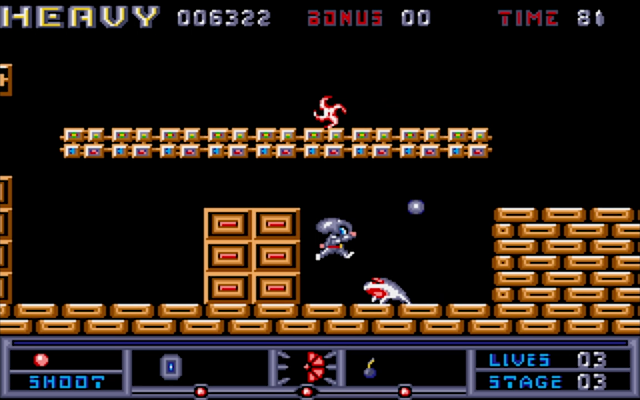 I personally see a cross between Zynaps or R-Type with very fast and frantic gameplay. Every enemy zooms onto the screen like they're on steroids so quick reactions are the order of the day. I love the graphics but it's a shame there's a large part of the screen unused - probably meant for a logo/status panel. 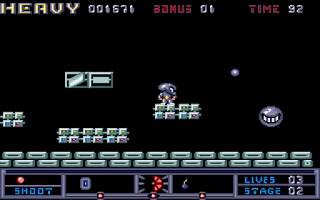 Bold isn't controlled using a joystick but instead the mouse and, I admit that the thought of this failed to impress me, but I soon changed my mind after the first game because it's actually the perfect method necessary for sharp manoeuvrability. Any model of ST is compatible but Bold runs better (and smoother) if you have a Blitter chip. Of course, all Atari STe computers are fine but others may need to shop with exxos to fill that empty socket inside their STFM. Sadly, those really old pre-1987 STs might not even have a socket to fill so I imagine an extra cost? 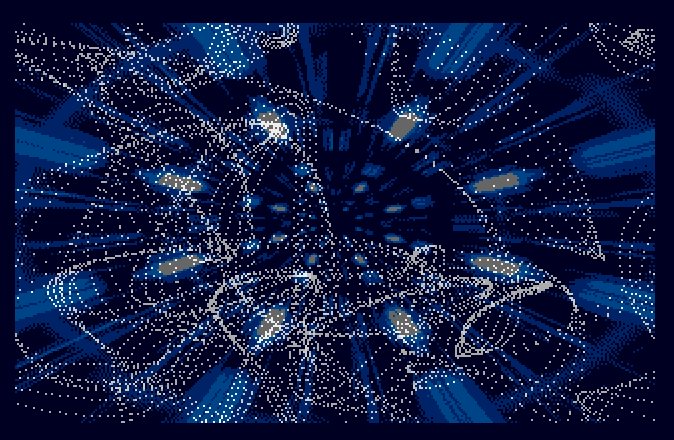 Although unfinished, this is furiously good fun with precise control via the mouse. Overall, a thrilling shooter!! - The Bold web page has the download and a nifty walkthrough of each level. - A cheat code is mentioned in the interview with Laurent within Alive Magazine #09. - The Wiliness web page has the download and a BUCKET load of help and information!! - Finally, check out Walls Of Illusion and the newly updated Dungeon Master games for the Atari STe. I love finding awesome programs like this!! What do you use or recommend I should also take a look at? I always said I that wouldn't... but here we are!! This is probably the most annoying game ever released but I only managed about 30 minutes before I was ready to throw the joystick through my window!! Why does the world love this? If this is your cuppa tea, then clickety-click to download but I advise either SuperFly or SantaFly instead. When the circus came to town it was boring and not nearly as good as Arnold thought, so he threw a pie at one of the clowns. Unfortunately, these clowns aren't known for having a good sense of humour and started chasing him. There's only one thing left to do... No, we aren't running off to tell Mum, we're gonna throw even more pies!! Each screen represents a tent from the circus with an invading army of clowns who look more like jelly monsters dressed up as Ronald McDonald! They're insane and wander frantically waving their arms and chucking juggling pins. This invasion will last forever but the pies won't so look for the open door to another tent full of a fresh stock - and many more clowns. 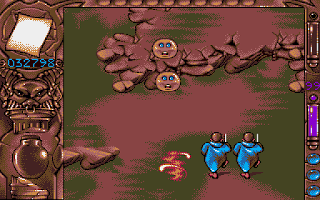 Throwing a mud pie will see them flying off the screen and multiple hits score you extra points. Try not to get yourself trapped in a corner otherwise, you might receive a juggling pin knockout blow! Challenge rooms are a little different to the standard tents because they have no mud pies but lots of clowns to avoid whilst you try to pick up a prize worth 1000 points. Also, every 20,000 points, a secret door will magically appear for the chance to enter into a Mudslinging Round where you have 30 seconds to throw pies at wandering clowns!! Don't clown about too much and get yourself hit. If you do, two medics appear with a stretcher and carry you off to the first aid tent. Only three times can this happen before it's game over but a freebie visit is awarded for every 10,000 points scored. A health meter is displayed top/left of the screen and is split into three segments with the middle one enabling you to run very fast. However, this speed is reduced if you become too hungry or if you've over-faced on burgers and fries. So try to keep your health a nice happy medium throughout for maximum agility. 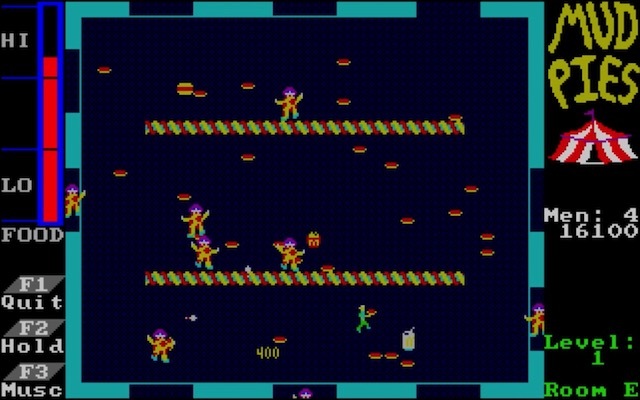 Just imagine the look on today's kids when you show 'em 1985 gaming. They won't get it! 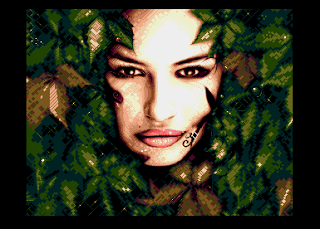 Graphically, this isn't exactly stressing our Atari ST in the slightest. 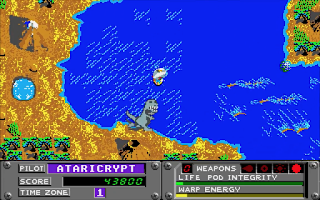 But remember that is was developed and released back in 1985 before programmers and artists knew how to push the best 16-Bit computer. 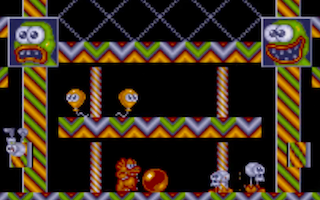 Having said that, it's got a certain Charley Chuck charm to it and, being a gamer since the early 1980s, I kinda love its retro look if I'm brutally honest. Spot sound effects are okay but it is best to leave the music on. Again, this isn't anything near the quality we would expect but it's surprisingly enjoyable. I swear, I love how this game sounds and looks. 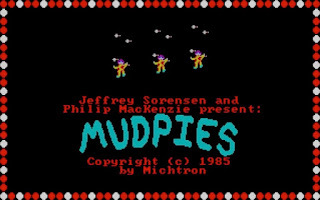 Mudpies is terribly good fun which features frantic gameplay taking you all the way back to those innocent 8Bit days. 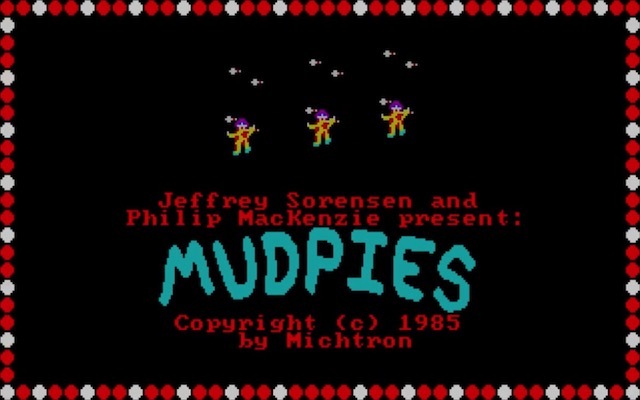 You know, there isn't a lot to this simple game but I've had so much fun slinging mud pies at clowns because that is incredibly entertaining. Grab a piece of this old skool action on either floppy or hard drive. Enjoy! !